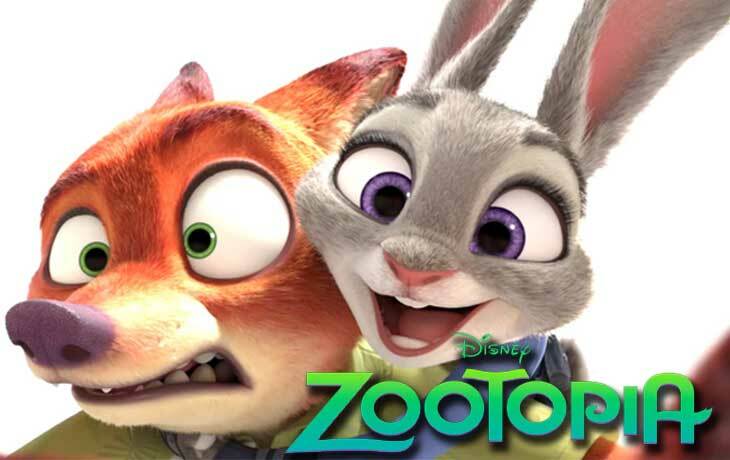 Zootopia is Disney 2016 animated film about a rabbit cop, and a fox is formed up a team to solve a mystery. The Film is directed by the form of Co-direction and created in different formats as 2D, Disney Digital 3D, RealD 3D, and IMAX 3D. The screenplay of Zootopia film plays a vital role. This movie is already released in Belgium on February 10, 2016, and hit the Box Office by $ 81.4 million. Long waited Zootopia release date has been already announced in many other countries and movie already released in major countries. Let’s see a mini & Quick to the point review of this animated movie. Voice: Ginnifer Goodwin, Jason Bateman, Idris Elba, J.K. Simmons, Jenny Slate, Nate Torrence, Shakira, Ginnifer, Bonnie Hunt, Don Lake, Tommy Chong, Octavia Spencer, Alan Tudyk, and Raymond S. Persi. Fully perfect and enjoying animation film by Disney for all the Childs to this month March. Not only the enjoyable film, also it teach you about wonderful social morals. Apart from kids, the movie explains lots of things for the parents as well. The Directors, Byron Howard, Rich Moore, and Jared Bush gave Zootopia film with informative funny cultural impacts on peoples, who lives in this current world. Zootopia is a town with two different group of animals, One is Predator and another one group is Prey. The Visual animation is going to show you how they live together as harmoniously. Judy Hoopes (Rabbit) is our Star, who becoming a first police officer in Zootopia. We already said about the theme of the story, that is how the two different habit group of animals are going to join their hands and live together. Overall, Zootopia movie got Positive reviews from all of the people, especially with social awareness. 🙂 No doubts about your charming, and playful with Kids. It is the best so far when compared with 2016 animated movies. Lets, take your Tickets with Popcorn from here.